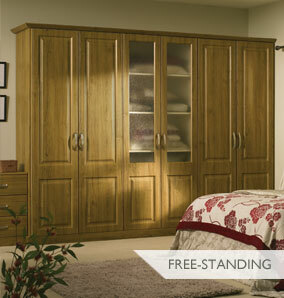 We simply offer the widest selection of bedroom furniture in the region. Realised by a truly inspiring collection of contemporary, traditional and classic ranges, from a carefully selected group of manufacturers, we offer genuine value for money at every level. Our showroom displays cover many different room sizes and therefore show a variety of ways in which practical storage can be achieved with clever, stylish design. We have an impressive portfolio which includes solid colours over many tones in matt, satin and gloss finishes together with wood grained finishes, also available in matt, satin and gloss. Whether it's fitted wardrobes or free-standing, sliding or hinged, floor to ceiling or wall to wall, tall ceiling or sloping ceiling, standard cabinet sizes or if made to measure simply suits better, Woollards can pretty much do it all, we really can. When it comes to that little extra touch, the additional level of thoughtfulness derived from years of experience, we will meet and exceed expectations through establishing a good understanding of your needs and hopes. If you require fitted wardrobes in Ipswich or Bury St. Edmunds, call into our showrooms to see what makes our offering truly unique in our region, you will be surprised by what you find and we guarantee the trip will be worth your while. We cover a variety of other areas including Cambridge, King's Lynn, Thetford and Newmarket. In addition to our bedroom displays, we also have a large selection of kitchens in our kitchen showrooms. 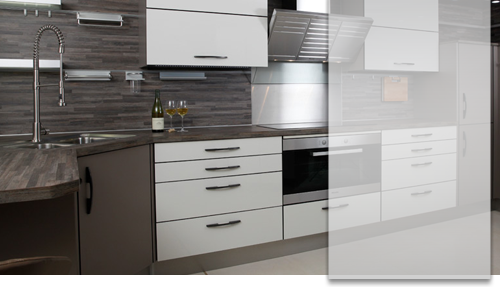 We are able to offer bespoke kitchens together with German kitchens and other continental produced kitchens. Our bathroom showrooms are also definitely worth a visit due to our excellent selection of bathrooms on display.